Health and Wellness Expert Luke Charlton, founder of the Health and Wellness Leadership Academy, upcoming author of “Live Your Healthy Life – Automatically” and CEO of ZAG Coaching Ltd, released a new Mind, Body, Diet and Environment coaching program called “Automate To Dominate Your Health and Wellness”. This innovative approach allows one to attain permanent results automatically, without the restrictive diet. 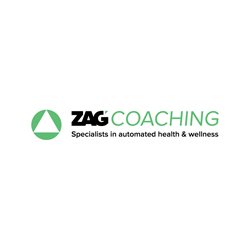 ZAG Coaching Ltd. health and wellness company introduces the new ‘Automate To Dominate Your Health and Wellness’ program. Going against the traditional segregated diet and exercise approach, it is the first of its kind to take into account the Mind, Body, Diet and Environment to help with permanent weight loss and muscle gain. One of the core concepts of the program is to first start with the mind, instead of focusing on being overweight, out of shape or lacking motivation. “These are symptoms of a greater issue,” states CEO, Luke Charlton. By finding what motivates someone on a deep level to eat healthily, exercise, and eliminate the root cause of being overweight or out of shape, ZAG Coaching Ltd. manages to get away from ‘yo-yo’ results and move toward creating a long-lasting healthy life. “If you fail to address the mind first and continue to treat your weight gain or lack of motivation with quick fixes like restrictive diets or willpower, you will continue to struggle and continue to get only temporary results,” says Charlton in ZAG Coaching’s Consumer Awareness Guide To Health and Wellness. At the beginning of the automated health program Charlton will go into the home of the client. He will ‘raid the pantry’ to remove any unhealthy food, then take the client to the supermarket to educate them how to shop and eat right. “It’s amazing how many people think they eat healthily until you’ve got ¾ of their fridge and pantry in the rubbish bin. Then they realise why they’ve been struggling for so long to lose weight, 'tone up', or gain muscle,” explains Luke. During the 1-day intensive, clients will also go to the gym to be shown proper exercise technique, and how to strategically modify their environment to be more in-line with their new healthy lifestyle. “The 1-day intensive really gives us the ability to move our clients into their new healthy lifestyle as quickly as possible to accelerate their weight loss, toning or muscle building goals,” says Luke. Greg Crossfield, a recent client to go through the 1-day intensive was impressed. “It really feels like a life-changing day,” he said. Fundamental to the success of any holistic health program is its ability to address the lack of time most people face due to our fast paced society, and the many other priorities that family and work-life brings. The program solves this problem through automation in each stage - Mind, Body, Diet and Environment. Whether through software, changing subconscious behaviour, or creating a personalised eating and exercise strategy to accommodate ones busy lifestyle, the ‘Automate to Dominate Your Health and Wellness’ program makes it possible for those short on time to still become their mind and body best. “By focusing on the mind first and modifying the environment last, we’re able to transition our clients in such a way that they no longer think about the healthy lifestyle, they live it automatically. Just like these health and fitness gurus we’re all envious of,” concludes Charlton.